Croner: During February 2018, UD Trucks Southern Africa increased its market share in the EHCV and HCV segments from January 2018 with 159 units sold. These results were on a par with February 2017’s results. 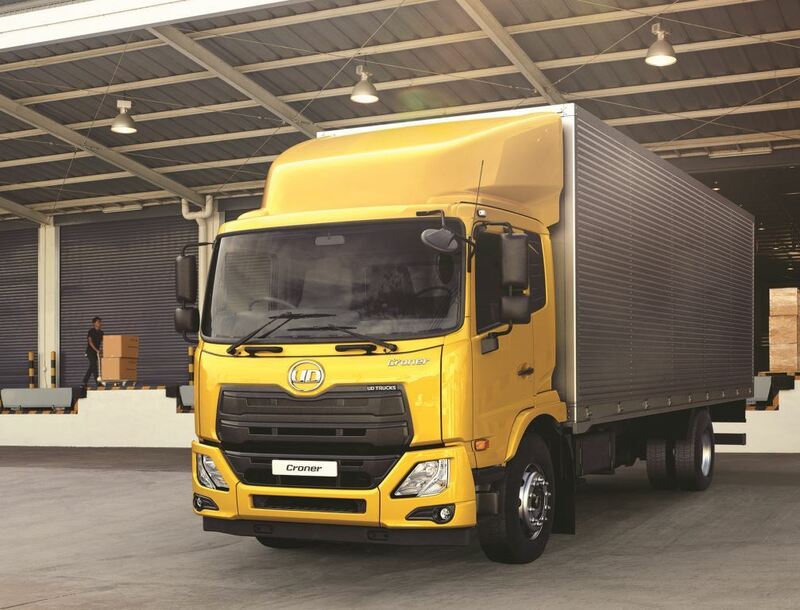 The South African commercial vehicle market experienced a 25.6% growth during February compared to January 2018 sales, concluding the month on 1 935 units. However, on a year-on-year basis, sales were down by 14.2% on February 2017’s results, and down by 8.4% to 3 476 units when compared to the results of the first two months of last year. “Even though the decline in commercial sales is an indication of the current subdued investment sentiment, we are optimistic that the developments in South Africa will bring some much-needed growth especially for the commercial vehicle industry,” says Gert Swanepoel, managing director of UD Trucks Southern Africa. When compared to February 2017’s results, sales in the Medium Commercial Segment (MCV) were down by 13.4% last month to 574 units. The Heavy Commercial Vehicle (HCV) segment decreased by 21.6% to 395 units, while sales in the Extra Heavy Commercial Vehicle (EHCV) segment were down by 13.1% to 882 units. The bus segment remained in the black with a 16.7% growth in sales to 84 units, compared to February 2017. “After the recent developments in the socio-political environment, we have a positive yet still cautious outlook. The country is still facing fiscal shortages and a current budget deficit but the Rand is holding firm against the dollar at below the R12 mark. It also bodes well for the commercial vehicle industry that ratings agency, Fitch, forecasted a GDP growth of 1.6% in 2018 and 2% in 2019,” says Swanepoel. “Due to current global economic growth, we are expecting the export market to show an upwards growth trend in line what we have forecasted at the start of 2018. We still expect a total commercial vehicle market of around 25 418 units, which will be an estimated 1.5% increase in sales,” says Swanepoel.